I have recently returned from my first residency as a student in the University of King’s College MFA-Creative Nonfiction program. One of the reasons I chose this program (let’s not speak of the attractions of a program requiring visits to Nova Scotia) is that it was born out of a respected journalism program. Like journalists, authors of creative nonfiction write true stories. That is the essence of the creative nonfiction contract. The thin line between fact and fiction must not be crossed. And yet, what mortal can reliably distinguish the difference between the two? A good ally, then, is the Author’s Note or Disclaimer. This is the short section that precedes (my preference) or follows the body of the work, that tells what “narrow field of view” the author reports from, what rules we played by. Here’s where we own the truth of our writing process: Did we contract or rearrange time? Create composite characters? Exaggerate for effect, like David Sedaris who describes his stories as “realish”? I’ve just read J.D. Vance’s Hillbilly Elegy and I found his conclusion to the introduction a very good example of an honest, informative disclaimer. After reading this, we know exactly where Vance is coming from. We’re ready to be compassionate readers as we turn the page to Chapter 1. Sometimes in my beginning memoir writing workshops, I ask my students write their disclaimers. I think it’s very helpful to decide the rules you’ll play by before the game gets underway. Jack Hart writes, “The most important purpose of nonfiction narrative is to help us cope with a challenging world. The closer we come to portraying that world accurately, the more helpful our stories will be.” That, to me, captures why I find memoir–true stories about our lives–so compelling. This entry was posted in Commentary, Writing prompt and tagged author's note, disclaimer. Bookmark the permalink. Thanks for this thoughtful post, Sarah. I am wondering if you have thoughts on how best an audio biographer might include their notes to prelude the recordings in their digital products, similar to what you describe for print. Do you know of anyone doing this in audio work? First off, Sarah, I agree that this is a very interesting post…thanks! Kit, I have known Sarah for many years and she asked me to comment on/respond to your question because I have worked exclusively in audio for 16 years. Because of that, or maybe just because I think I approach recording personal stories a bit differently from my PH colleagues, I have never thought about this or considered it necessary to include something like this. I come at PH work from a “to the best of my recollection” standpoint so I don’t know (or, dare I say, care) if the stories I’m being told are true or not. I don’t do research or try to fact check what I hear for any number of reasons. Maybe the fact that my finished product is not “in writing on paper” gives me more freedom in this regard. Again, this is not something I’ve given thought to. My goal is to simply preserve the stories and the voice…the two most important aspects of PH work in my opinion. Having said all of that, if you feel that this is something you would like or need to do, you might simply write and record a “disclaimer” and put it at the start or end of the recording. Another possibility might be to write something that can be included in the packaging of your finished product. I’d love to hear any responses to my thoughts and if you have questions, don’t hesitate to be in touch. Sarah, thanks for the opportunity to think about this topic. I miss seeing you too! 1) an anthology of interviews with someone who is progressing through stages of dementia. 2) Interviews with veterans that might expose some military confidentiality of which I was not aware. 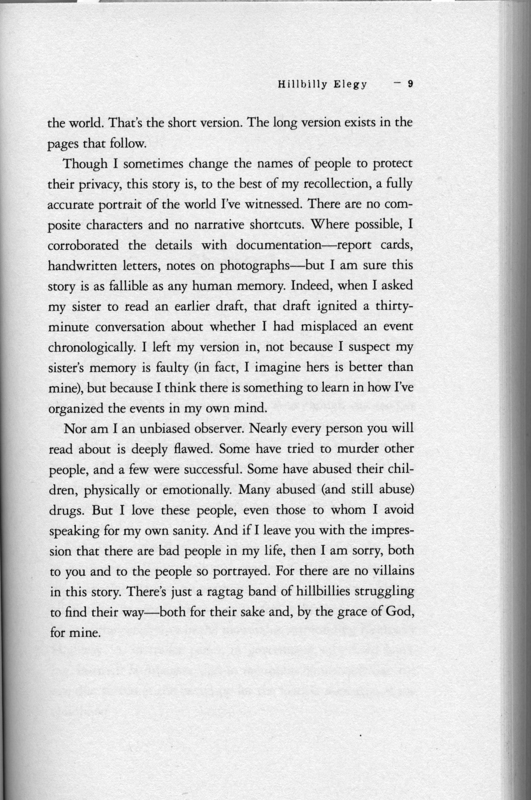 3) Offering that the narrator add their own note or disclaimer about a story. 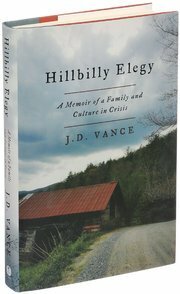 (similar to the example Sarah used from T.J. Vance’s book, Hillbilly Elegy, where Vance’s sister did not agree with his chronological order of events. I would consider this an interesting breakout session topic for an oral history group or personal historian’s conference someday!